Pastel Sunset at Agate Beach is located at the north end of Newport on one of the most secluded beaches along the Oregon coast. 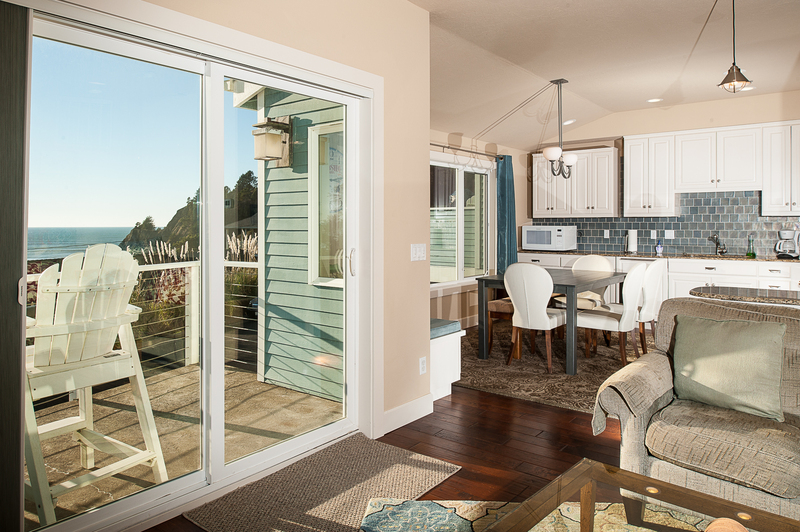 This super high end luxury home will make your Oregon coast vacation that much better. 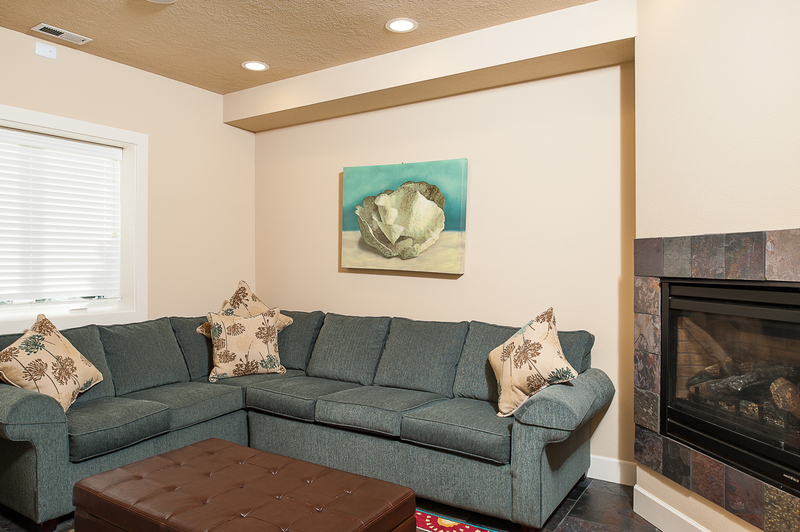 With three bedrooms and three and a half baths, this gorgeous rental can easily accommodate all eight of your guests. 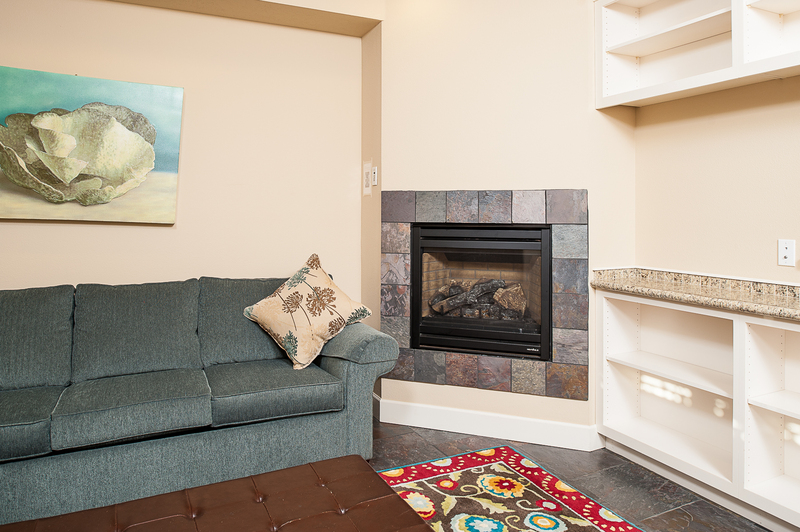 On the lower level you will find a comfortable sitting area with a gas fireplace, a queen sleeper sofa, laundry facilities and a bathroom. Upstairs on the main level is where you really get to taste the luxury. The gourmet kitchen has everything you need, from appliances to dishware and more to whip up some delicious home cooked meals. 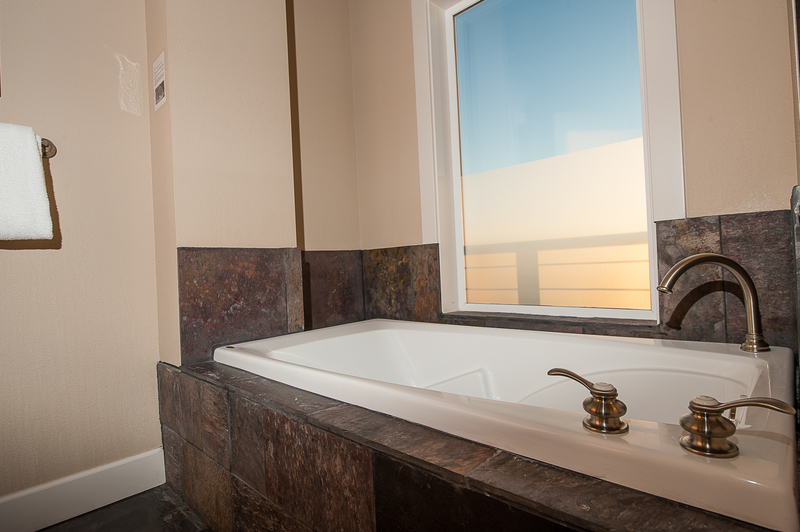 You'll also have gorgeous views of the Pacific while in this room. 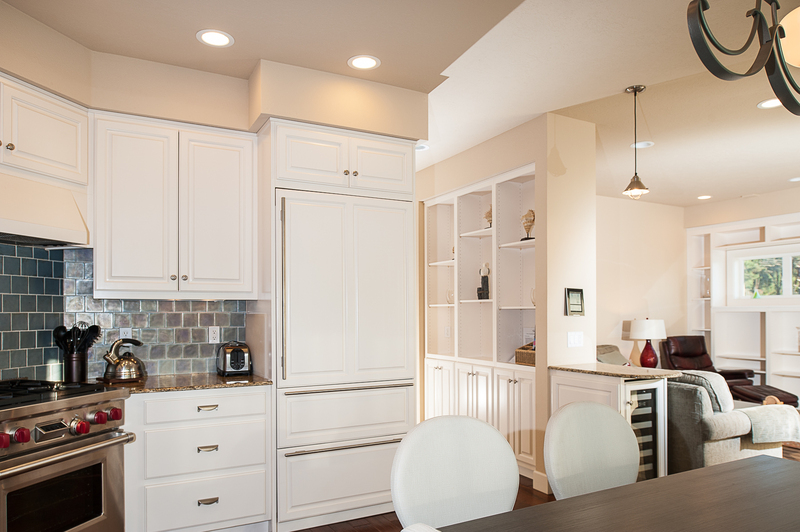 Next to the kitchen is the dining area that will comfortably seat all the people in your group. 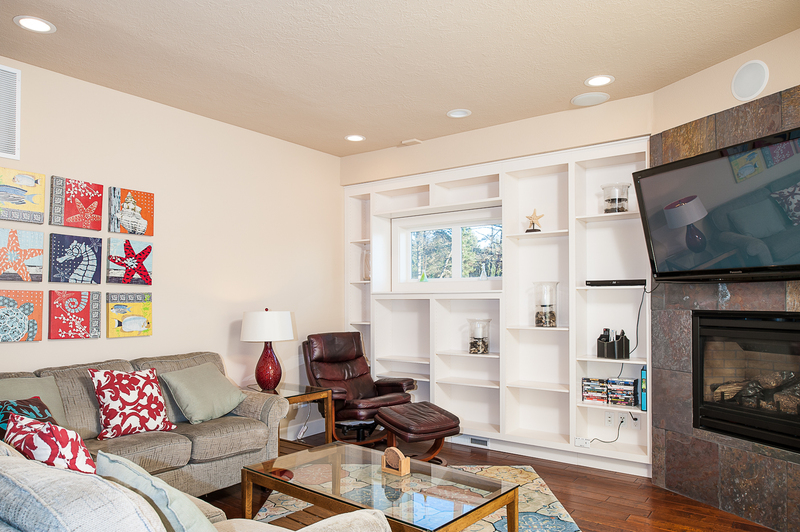 Last but not least is the living room with a large screen TV, super comfortable furniture and more amazing views of the coast! 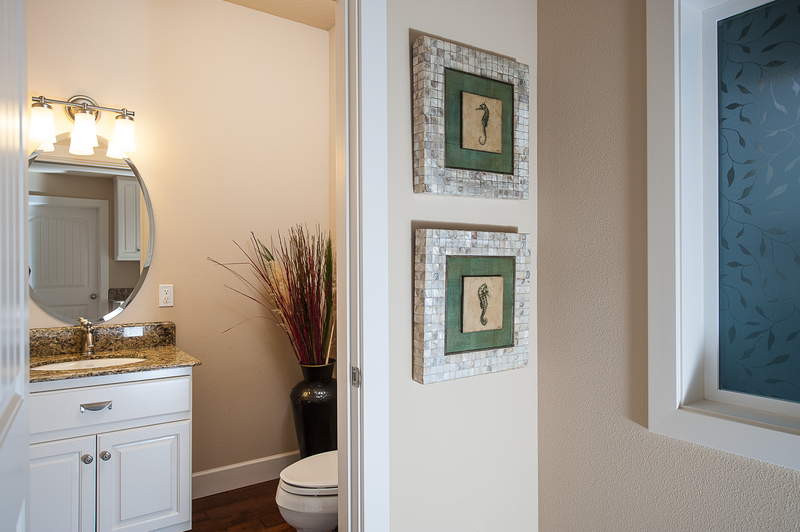 The guest bath rivals any spa along with the first of two bedrooms. On the third floor is the master suite with a master bath that is even better than that of its counterparts on the second floor. 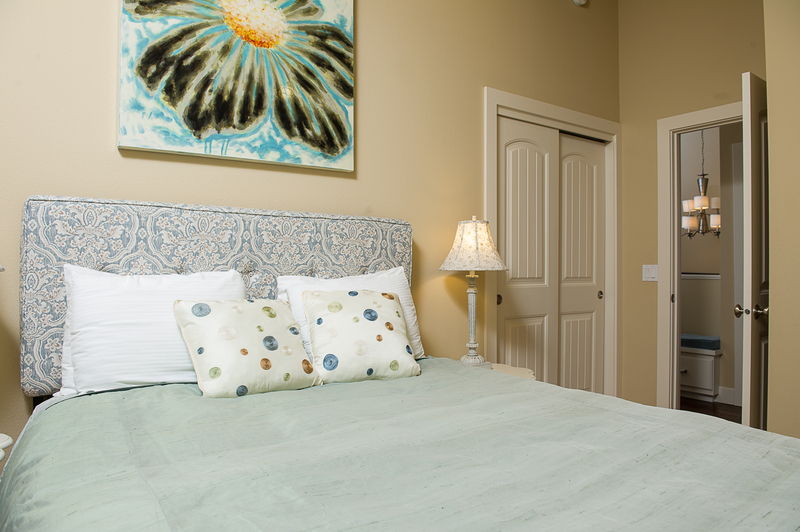 The third bedroom is a sanctuary in its own right. 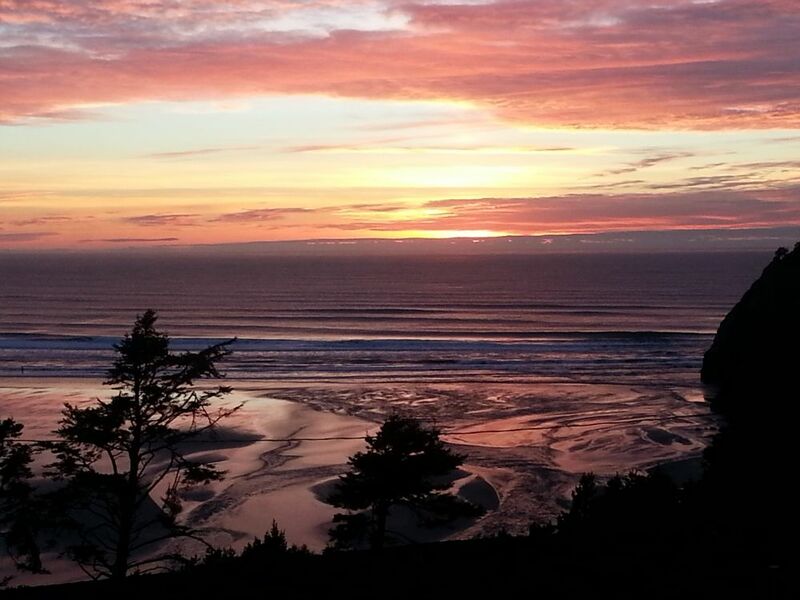 Come explore the Oregon coast today at Pastel Sunset at Agate Beach with your loved ones! You'll want to come back again and again! Beach Access: Going south from the home where NW Agate and Gilbert meet turn East toward the water following the path down to the sand. "Beautiful home with everything you will need for you and your family to vacataion comfortably. One and only problem- BBQ didn't work! But, everything else was great. " "Hello Allison, Thank you for your review. 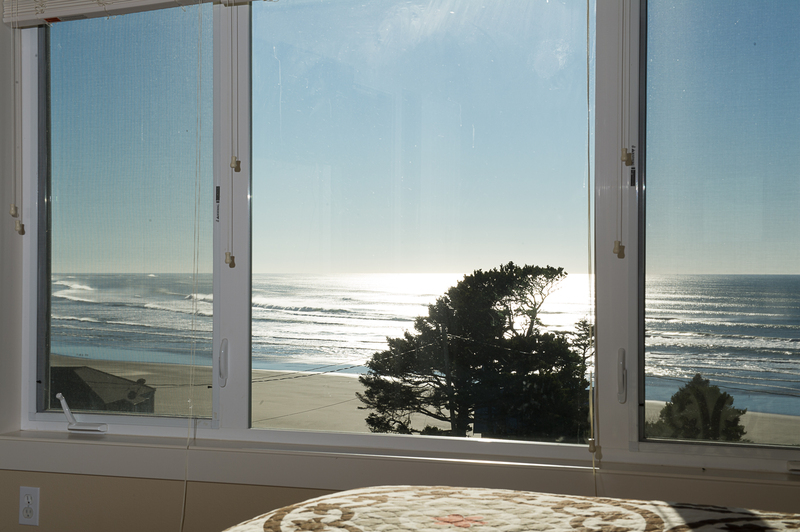 We are glad to see that you enjoyed your stay at Pastel Sunset at Agate Beach! We are sorry to hear that the BBQ was not working for you during your stay. The gas may have not been turned on, as it turns out this was discovered right after your stay. We hope that you overall had a wonderful time, and we hope to see you and your family back again soon on the Oregon coast. Thank you again for your review." "Hello William, Thank you for your review. We are glad to see that you loved your time at Pastel Sunset at Agate Beach! We hope to see you back again very soon for another visit! Thank you again for your review." "Great experience! The rental was beautifully furnished. We especially appreciated the well stocked kitchen with plenty of dishes, utensils and cookware! Also abundant supply of towels was great as were the extra blankets and pillows. Home was extremely user friendly with instruction sheets conveniently posted throughout the home for tv, appliances, alarm,Door locks, any thing one might question. Views were beyond breathtaking! 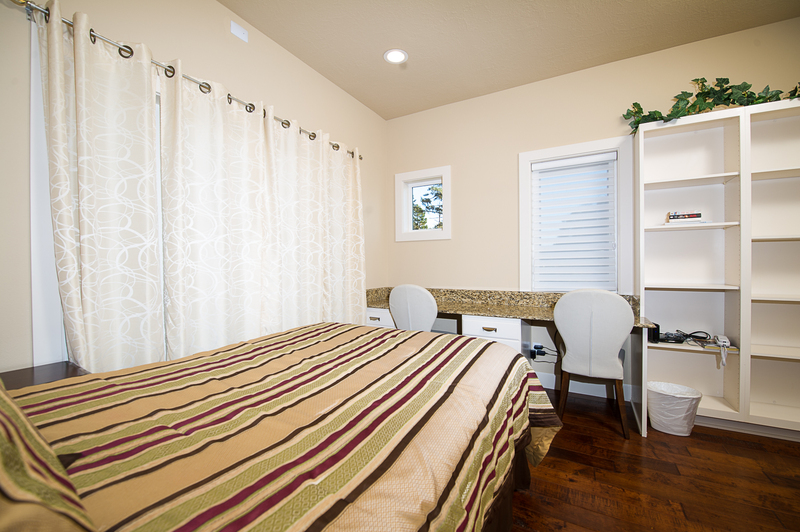 Extremely clean, comfortable, and accommodating. Loved the beach access and the continual parade of surfers from in front of the condo and racing down to the surf. Parking was tight, but wemanaged. Would highly recommend this rental." "Hello Todd, Thank you for your review. 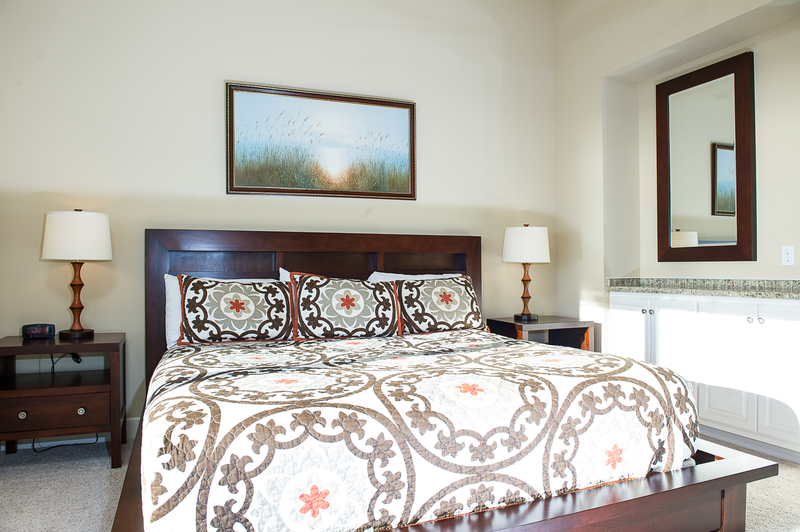 We are pleased to hear that you enjoyed your stay at Pastel Sunset at Agate Beach. We hope this means we'll be seeing you back again soon on the Oregon coast for another wonderful getaway!" "This condo was amazing! Everything was perfect and updated. Super clean"
"Self check in and directions to the condo were very clear and easy. The location of the condo was centrally located for numerous day trips and activities. The condo was clean, comfortable, and well supplied AND the sunsets over the ocean were spectacular. Thank you for a terrific vacation." "What an awesome find on the Oregon Coast. We barely unpacked our bags and we already started discussing how soon we could come back for a longer stay. The owner of the property stopped in while we were there to check up on things and make sure we didn’t have any questions. I think that this is one of the nicer Vacation Properties that we have ever stayed in. 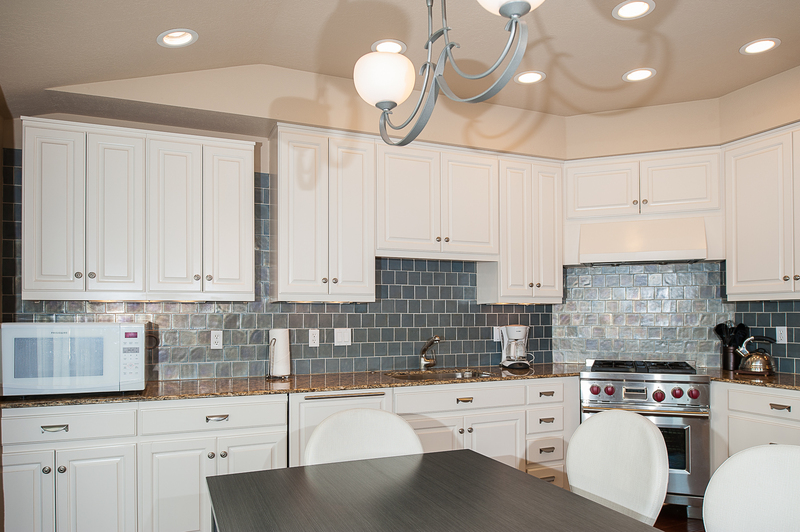 High-end appliances, nice furnishings, very clean and well cared for. Our only regret is that we didn’t stay a few days longer. We will without question be back again. Also, great location, close to town but close proximity to a very quiet beach. You must traverse a steep hillside with stairs and wade a small stream to get to the ocean from the property but the solitude of this particular beach is worth the effort. We can’t wait to come back to Pastel Sunset at Agate Beach for another visit!" "Hello Frederick, Thank you for your review. 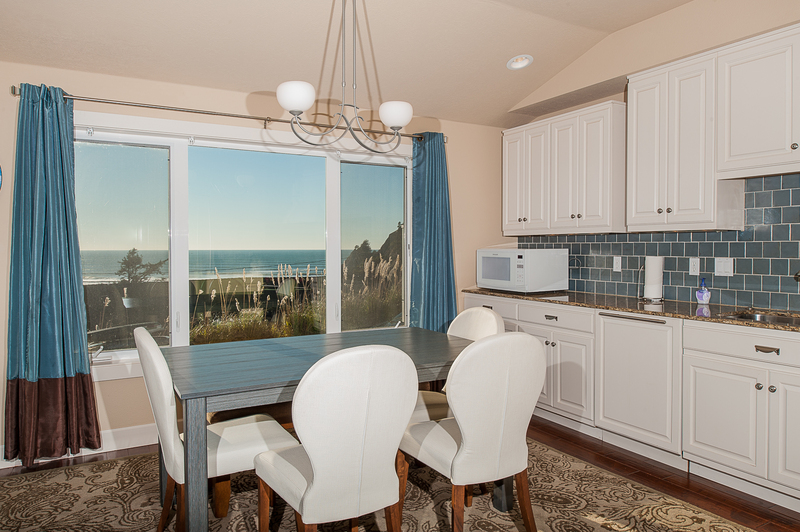 We are so happy to hear that you loved your time at Pastel Sunset at Agate Beach! 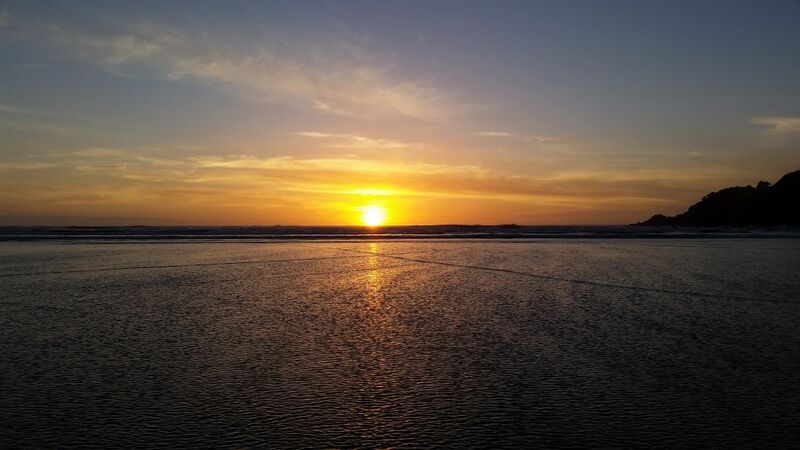 We hope this means we'll be seeing you back again soon on the Oregon coast!" "Hello Karla, Thank you for your review. We are very happy to hear that you loved your stay at Pastel Sunset at Agate Beach. We hope we'll be seeing you back again soon!" "Loved the rental. It was everything I expected and more. 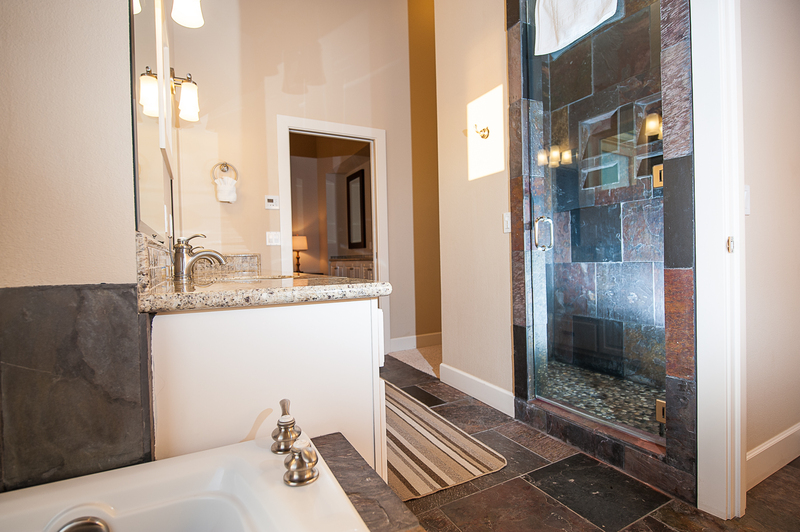 Beautifully appointed home with highly end appliances. I especially loved the kitchen and the master bedroom. " "Hello Gwendoloyn, Thank you for your review. 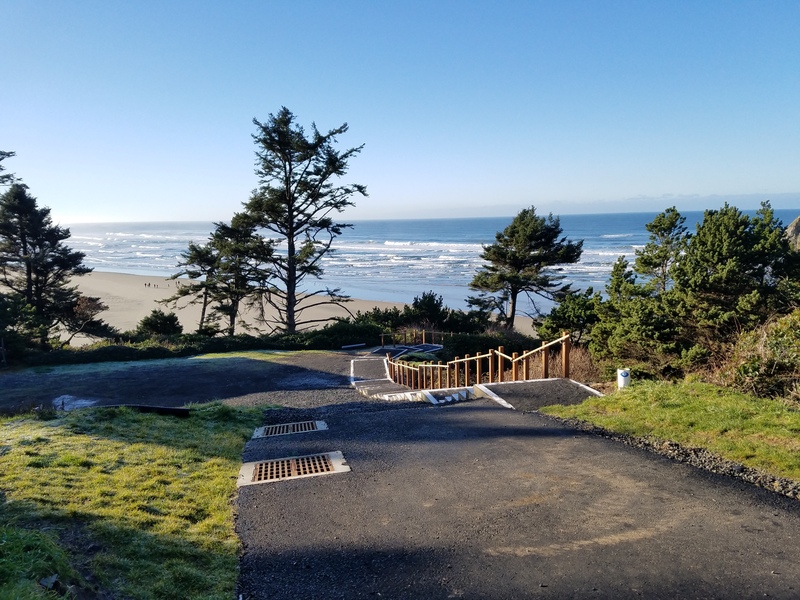 We are pleased to hear that you had a great stay at Pastel Sunset at Agate Beach! We hope to have you back again soon!" "We could not have dreamed of a more perfect setting for our family vacation. Home was beautiful and easily accommodated our large family. Great views of Agate Beach. We hope to return soon." "Jessica, thank you for your review. 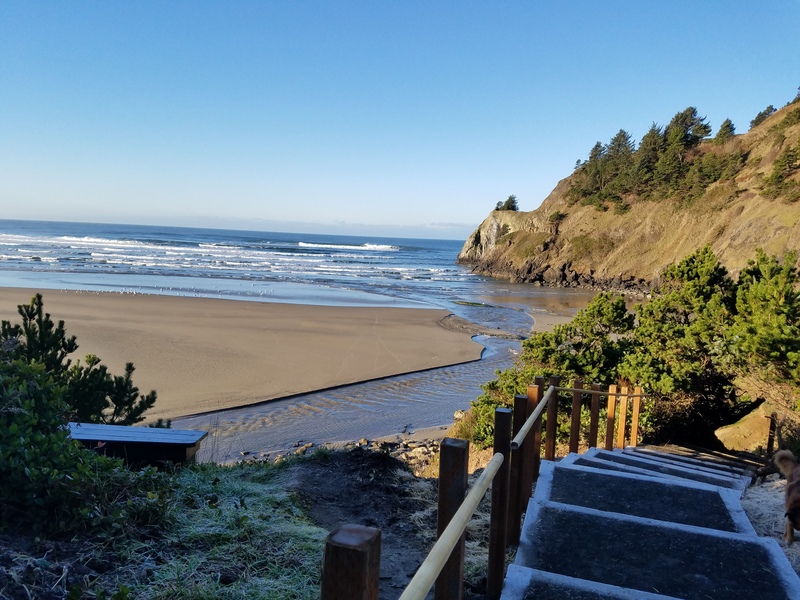 We so enjoy hearing from our guests and knowing they enjoyed their time away to the beautiful Oregon Coast. Nice to hear you found the home clean as well as amazing. Hoping the memories you made will be able to be shared with friends and family alike for years to come. We would enjoy hearing from you to assist in planning that next coastal getaway! Again, thank you Jessica! " "Hello Karen, Thank you for your review. 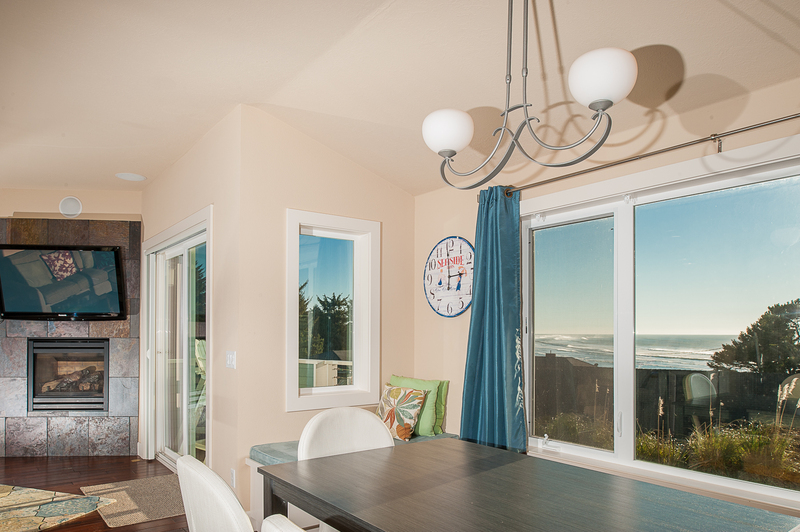 We are glad to see that you and your family enjoyed your stay at Pastel Sunset at Agate Beach! 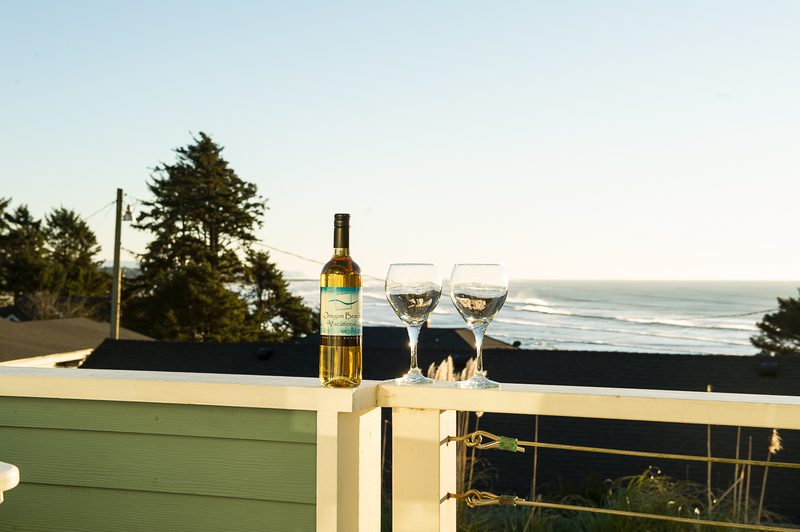 We hope that we'll be seeing all of you back again soon on the Oregon coast for another wonderful vacation!" 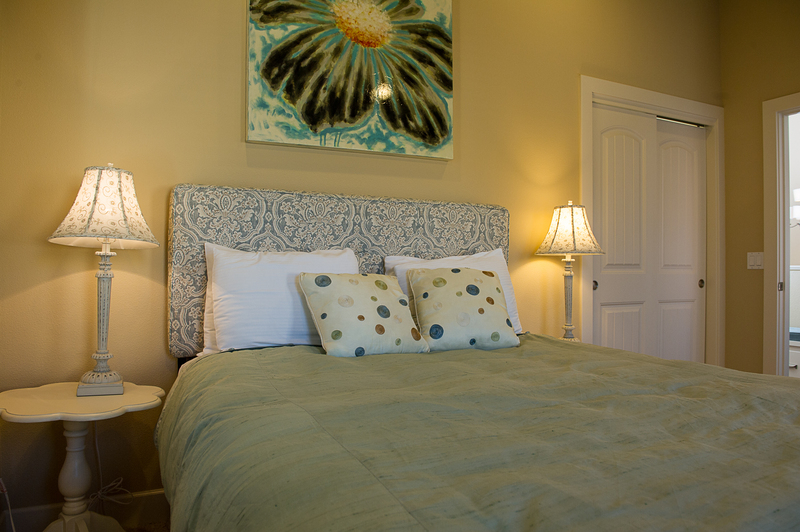 "We enjoyed our stay and would definitely go back again. 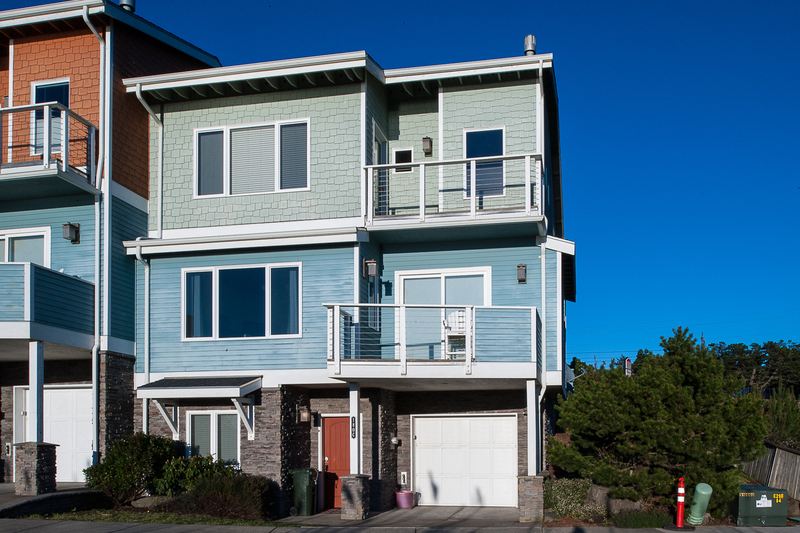 The layout of the unit and the view were ideal with a short walk to the beach. A number of small items require attention. The B.B.Q. had not been cleaned and there was no gas. 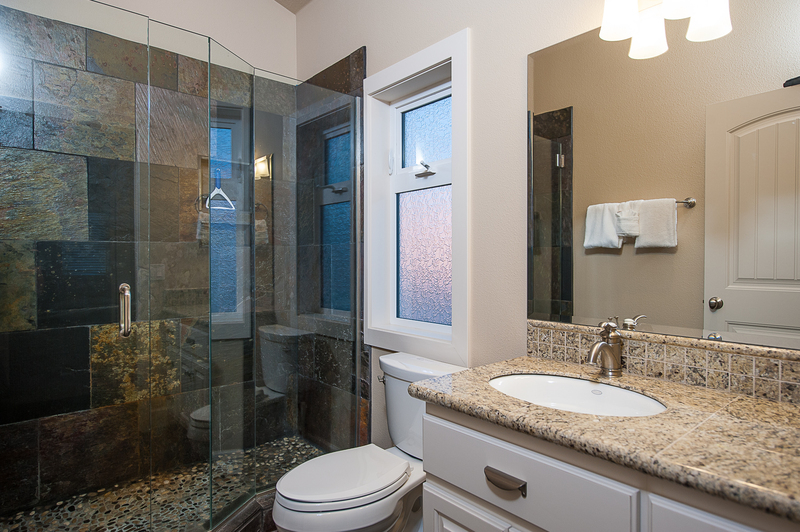 The left sink in the Master was not draining properly and the waste disposal(garburator)was not working properly." "Hello Robert, Thank you for your review. 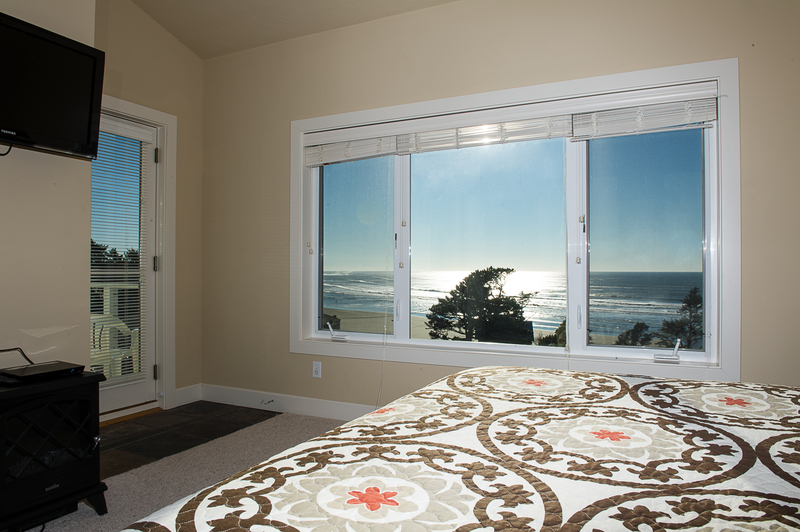 We are glad to see that you enjoyed your stay at Pastel Sunset at Agate Beach. We are sorry to hear that you ran into a few problems while on your stay. We would have loved to send maintenance out to repair these issues for you during your stay. Please keep in mind for any future stays that our office staff is on call 24/7 to help you resolve any issues that may arise during your stay. These issues have been resolved since your stay. Thank you for bringing them to our attention. We hope to see you again soon in the future, and thank you again for your review!" "The over all stay was great it was a awesome location across from agate beach and just around the corner from yaquina head light house there are two trails across the street that take you to the beach although both include stairs the closest one to you is more stairs but gets you the faster the other team at the end of the block is a beautiful walk and take you there also but you do have to walk a lil longer on the beach to get to the water Also the steak house across the high way is fantastic Huge portions and amazing breakfast ! There are a lot of stairs in this home but that is prolly what makes for so many beautiful views on every floor The garage was nice to be able to use My only complaint is minor (in that the maintenance man was there quickly and we just went over to check out the light house while we waited . )bi called Oregon each and she was on it very quickly and Called me back to reassure me the meantime we was on the way and very apologetic . Outlet pads battery died and we were not able to get into the house one afternoon and there was no key in a lock box that also had no locking compartment .... One other thing but not a big deal at all was one of the.mirror was down in our master bedroom upstairs not sure what happened there but we just set it on the counter that it hung above ....All of these things I am sure we're or have been resolved and we had an amazing stay at a warm and beautiful home / location !!!" "Hello Ronda, Thank you for your review. 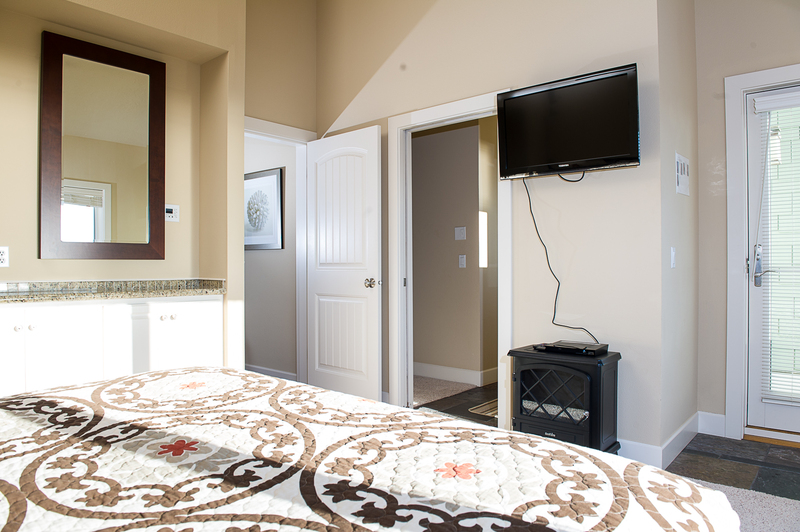 We are glad to hear that you had a great overall stay at Pastel Sunset at Agate Beach. It sounds like you had a great stay on the Oregon coast and got to see and do any new and fun things. We are sorry you ran into a few issues, but we are glad to hear that our staff was able to quickly resolve your issues during your stay. 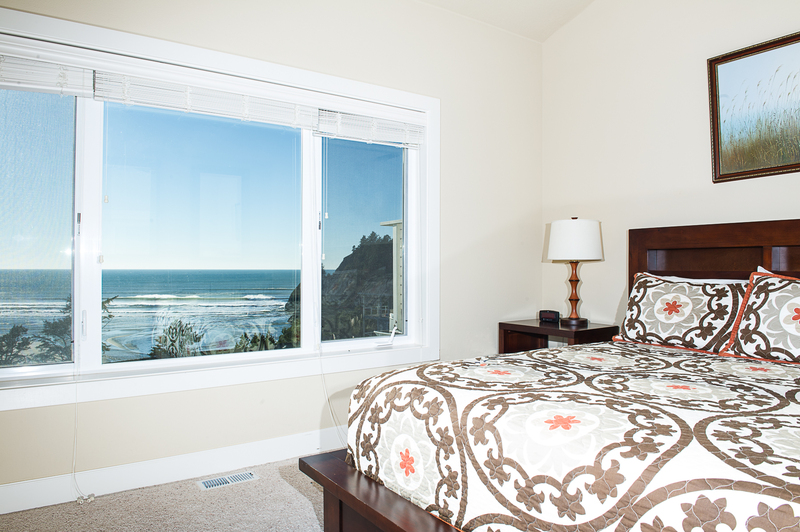 We hope to have you back again soon on the Oregon coast, and thank you again for your review." Kitchen was awesome and bathrooms are GREAT! "Very beautiful home, well appointed and views were gorgeous. Great beach right across the street. Furnishings were modern and well taken care of. Kitchen was awesome and bathrooms are GREAT! "